The Landice L8 Sport Trainer, or Pro Sport Trainer, is by far the best treadmill sold for home use. Landice treadmills deliver a health-club quality workout in the privacy of your own home. Built to full institutional standards, these treadmills offer the latest in engineering technology combined with old-fashioned American craftsmanship. Since 1967, Landice has produced only one product: treadmills. Landice has over 20,000 treadmills placed in health clubs around the world. The Landice L7 and L8 treadmills feature a 3hp continuous duty motor, rustproof aluminum frame, VFX shock absorption system to soften impact and a four-ply belt. 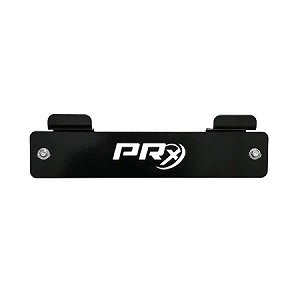 All Pro Exercise offers these units reconditioned to like new appearance and function.The Landice L8 is constructed from super-strong, aircraft-quality aluminum-delivering durability that's ideal for runners who push their equipment to the limit. One 6'-3" tester echoed other testers' thoughts in his appreciation of the longer belt (63 inches versus 60) to accommodate his stride. With your first step onto a Landice treadmill you become part of a unique workout experience - one that delivers a health-club quality workout in the privacy of your own home. This is the philosophy that underlies the design of the L Series Landice treadmills. Built to full institutional standards, these treadmills offer the latest in engineering technology combined with old-fashioned American craftsmanship. Soft styling enables these treadmills to blend into any environment, but don't be fooled by their refined looks and whisper-quiet operation. Underneath the hood is the raw power of a 4 horsepower continuous duty drive motor. 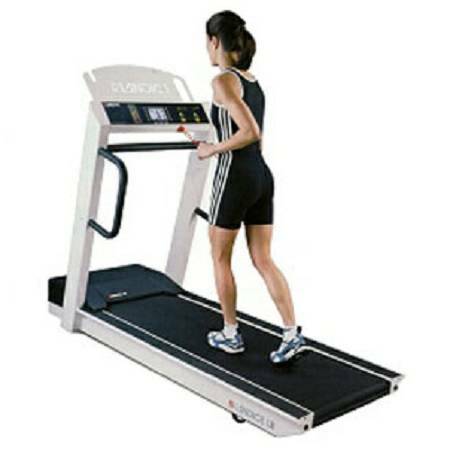 Landice has manufactured treadmills for over 40 years. They have placed over 100,000 units in the harshest commercial environments. Because they use the same time-tested commercial grade components in all of their treadmills, only Landice can offer a residential bumper-to-bumper Assignable Lifetime Warranty when new. User Weight Capacity - 500 lbs.